Emília travels to Macao to work as an occupational therapist at the recently installed experimental Department of Psychiatry of the newly inaugurated Cotai Hospital. She has always wanted to work in Macao to fulfill her dream of finding and meeting her birth father, whom she has lost contact with. By chance, she discovers that one of the hospital’s mental patient is her father! She stops at nothing to protect him, particularly from the plans set up by his wife. Patuá theatre, which is an important characteristic of Macao, has been inscribed on Macao’s Intangible Cultural Heritage List. 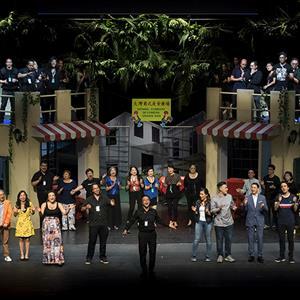 Macanese Patuá is a creole originated from the ancient Portuguese language, with a combination of Malay, Spanish, Canarese, English and Cantonese, reflecting Macao’s role as a platform for the development of multiculturalism.